I’m not sure that I should be admitting this what with my British passport and all, but I actually drink as much (if not more) tequila at home as I do gin. When I come home at the end of a long day at work, as long as I have a couple of limes in the fridge I want a margarita more than I want anything made with gin. Perhaps we should chalk it up to the influence of the American visa and several California entry stamps my passport also boasts? 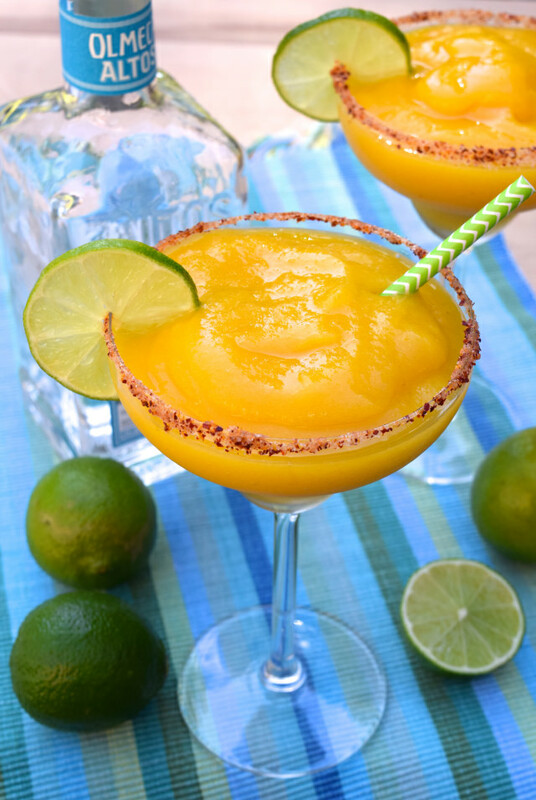 At home I’m more into making classic margaritas: tequila, triple sec and fresh lime. I usually reserve the fruitier, frozen concoctions for when I go out (I’m looking at you giant margarita bar on West 3rd Street in Santa Monica), but after checking out some of the Cinco de Mayo offerings on some of my favourite blogs this year, I realised how easy it would be to make my own at home in a blender using frozen fruit pieces. 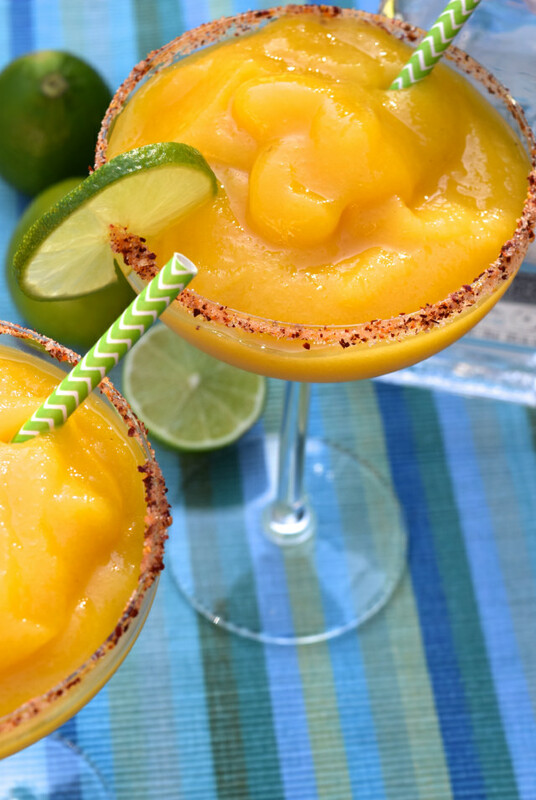 This recipe makes two frozen margaritas. Make them in batches if you have a regular sized blender like me, our double up if you’re serving more people, and your blender can take it. 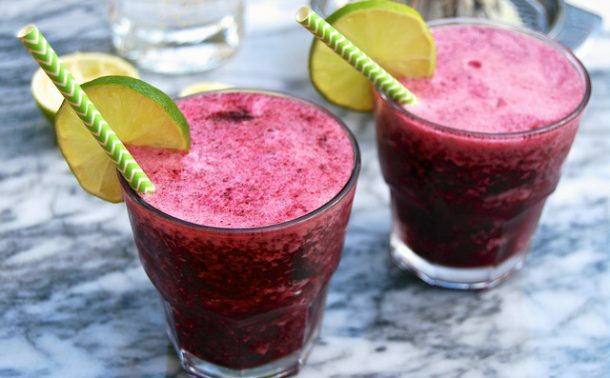 If you’re just serving one, it is easier to freeze the leftovers in a plastic bag (the alcohol will stop it freezing solid, just bash the bag with a rolling pin to re-slush before serving), rather than ending up with odd pieces of lime in the fridge. 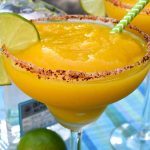 These Frozen Mango Margaritas are easy to make in a blender or smoothie maker with your favourite tequila for a Cinco de Mayo treat. 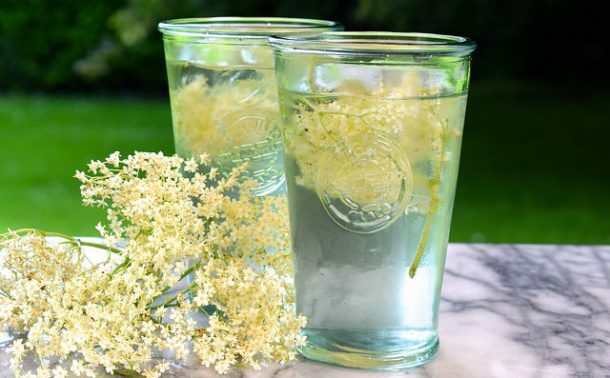 If you want to rim your glasses, dip the glasses in sugar syrup (you can either buy this in bottles, or make it by boiling equal parts of sugar and water until all of the sugar has dissolved – it is also great in a Short Southside Fizz), then in chilli salt. You can use regular fine sea salt if you’d like instead, sugar, or a mixture of both. 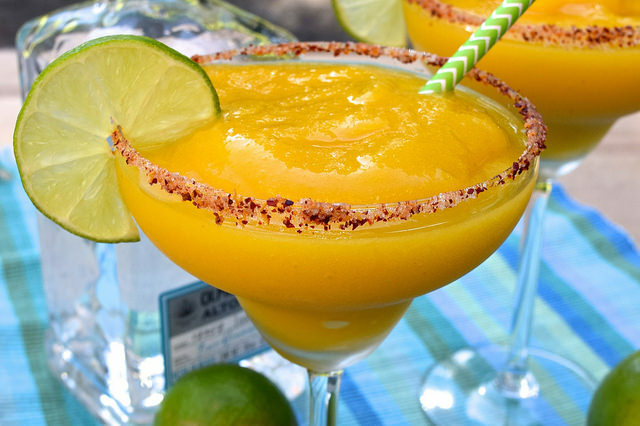 Add the lime juice, tequila, triple sec and mango pieces to a blender. 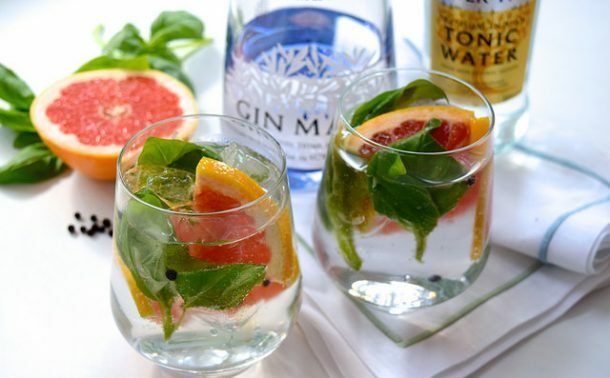 When you halve the limes to juice them, if you like slice a lime wheel to garnish each glass from the middles. 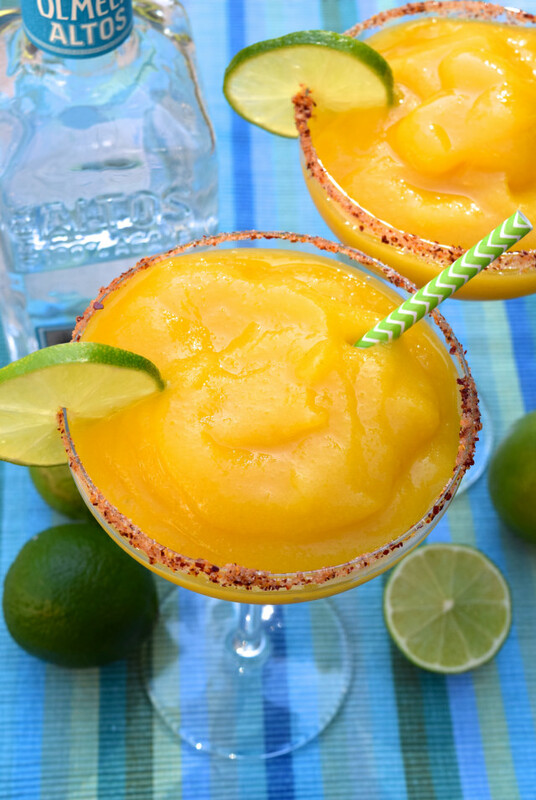 Blend everything together until smooth, and add the ice. Blend again until you have a slush. 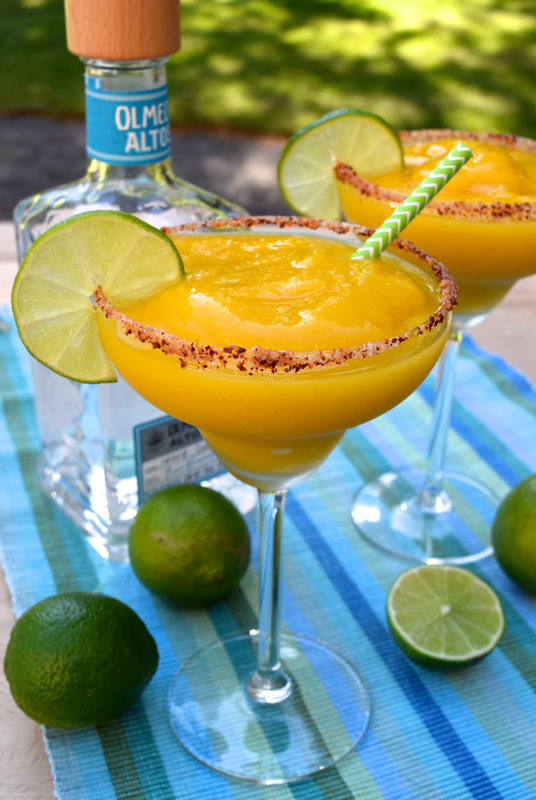 Taste to see if you would like to add any more lime, and divide between two glasses. Serve immediately.